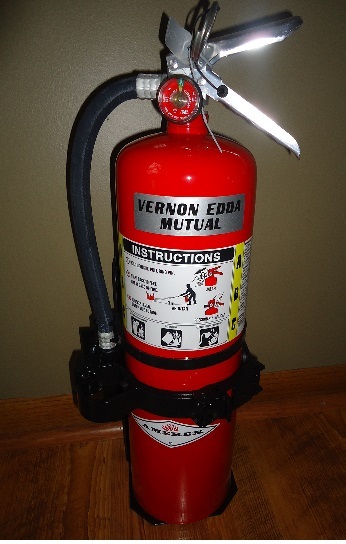 We offer fire extinguishers for purchase at half price for our policyholders. We currently have 10# Amerex ABC extinguishers with brackets available for $45($32.50 without bracket) and 5# Amerex ABC extinguishers for $22. We encourage all customers to purchase one for use in their homes, shops, combines, etc. We will also pay to have extinguishers refilled if used for a fire. We will reimburse policyholders $20 per season for a furnace maintenance 'check-up' done in your home. All you need to do is submit a copy of your receipt to either your agent or directly to the company. This is best if done in the fall. We are proud to offer five $200 scholarships to local graduating seniors at Hayfield, Triton, Kasson-Mantorville, Byron, and Stewartville schools. Applications can be obtained from the respective school offices.